The Petite Backpacker: "Should I study abroad?" Unequivocally, yes! "Should I study abroad?" Unequivocally, yes! Before starting college, partaking in a study abroad was an experience that I knew that I wanted to do, but was unsure whether or not it was actually feasible. 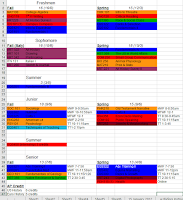 My program of study was intensive, time consuming, and left little room for scheduling variations. 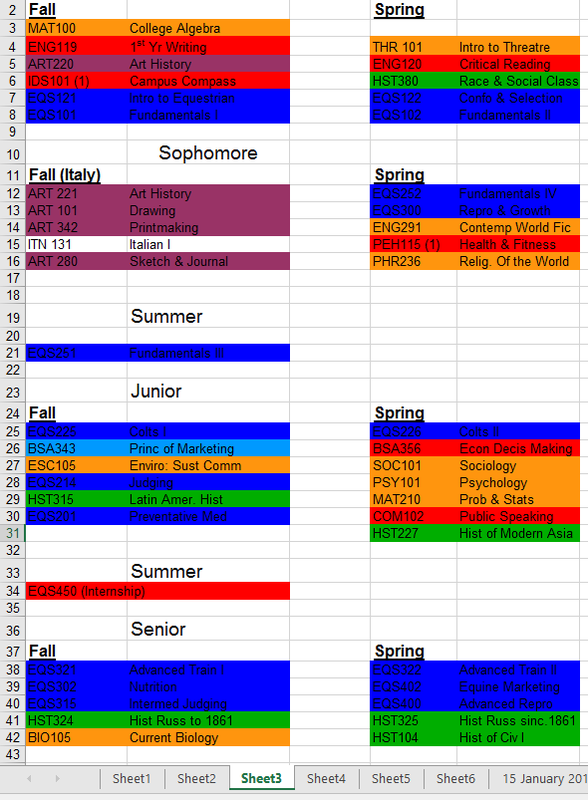 How would it be possible for me to skip an entire semester of classes required for graduation and still get everything done within my four year graduation plan? Not to mention, where do I get the money to travel abroad on a student's Ramen Budget? When registering for my first semester of classes I had originally signed up for an Italian history class with a jazzy title that fulfilled three of the six credits I need to fulfill the requirements for a History minor (Advanced Placement classes from high school gave me 12 credits already!). Unfortunately the class ended up being full and I had to go with my second choice, Art History. Though I did enjoy Art, and I did enjoy History, the idea of a course with the two subjects combined made me wonder how difficult it would be to sneak a pillow into class for a more comfortable napping experience. To my relief the class ended up being quite interesting and a week in the professor announced that all students were welcome to sign up for the department's semester abroad in Italy the next fall. After class I sent a photo of the flyer to my parents (who heartily encouraged me do it) and began revising my four year plan. Okay, so I'm going to be straight up with you. I love planning things. 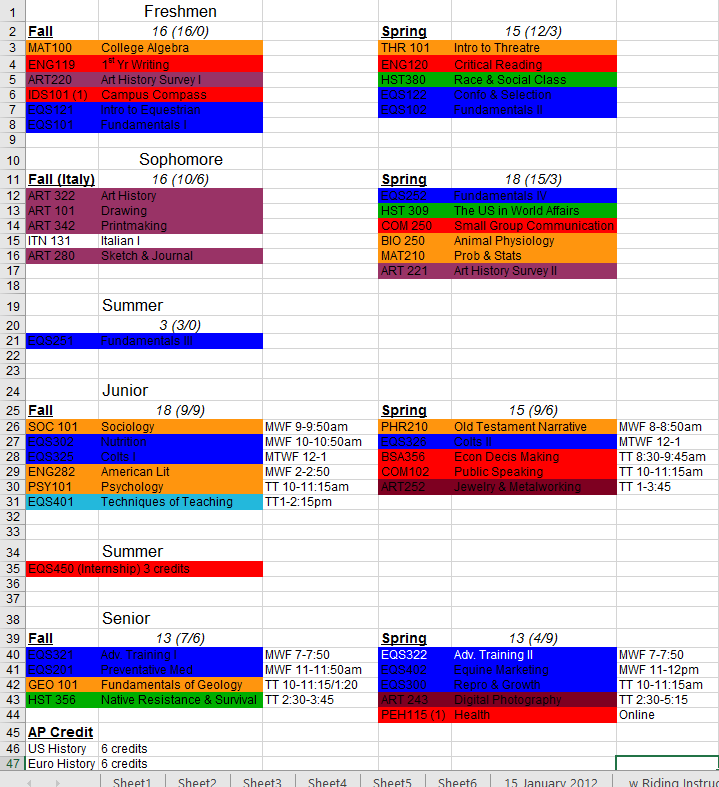 Piecing together flight itineraries, scheduling dinners out with friends, and (my now obsolete semi-obsession) orchestrating my 4-year College Plan. 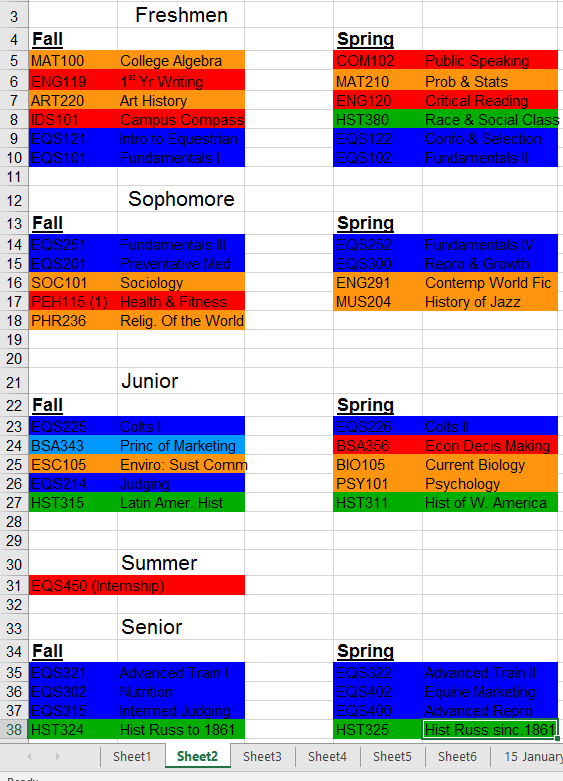 My spreadsheets were beautiful, colour coordinated, and allowed me to take any class that I wanted while still fulfilling all of my required courses. Truly, they were amazing. All ten of them. One for every semester ... and a couple to spare. After talking to my academic adviser and being reassured that the scheduling would all work out fine, I reworked my four year plan (2nd photo) and was left with only one more hurdle to face: money. This, too, was simpler than I had expected. I had expected the additional Italy program fee to make my semester more expensive, but in reality it ended up being the least expensive of any semester during my four years (not including the summer courses). Because I wasn't partaking in my major program I didn't have to pay that fee, and since I wasn't living on campus I didn't have a dorm to pay for either. With my schedule reworked and my financial math in order, I signed up for the trip and enjoyed a semester of beautiful art, delicious food, and interesting conversation in Italy! Studying abroad ended up being much more feasible than I had expected. The issues that I had anticipated as being potentially problematic ended up being resolved with a little encouragement and extra brainpower. When my semester abroad (or any of my other travels) comes up in conversation people almost always say, "I wish that I had done that," and I say to them, "it's never too late to do it now."